According to The Daily Dot, “Tumblr” surpassed “blog” in December as one of the most searched terms on Google, thus confirming the slow fall of the search for “blog” that started in 2009. Also, with over 88 million blogs and over 20 billion page views per month, Tumblr ranks as one of the top 10 most visited sites in the world. If Facebook and Twitter were kids in a classroom, they might be feeling a little crowded and less dominant these days given the new popularity of some of their classmates: Pinterest, Instagram, and Tumblr. These newer sites are captivating students the world over because of their highly visual interfaces – they are telling stories in seconds via photos and videos, and very compelling ones at that. 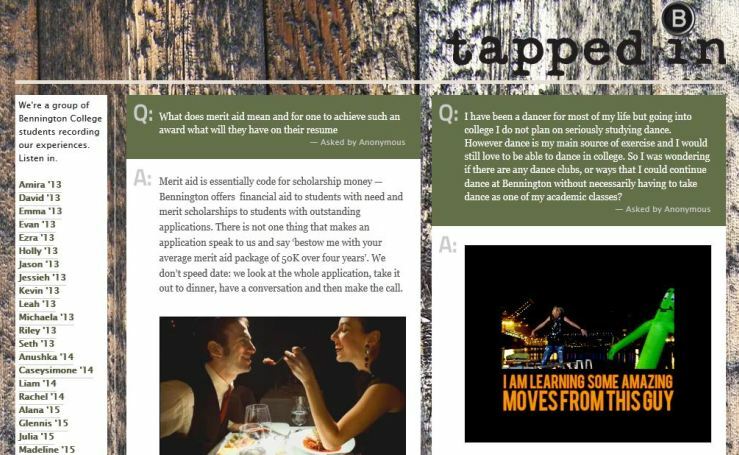 In this article, we’ll look at the rapid ascent of Tumblr, and see how education institutions might best use it to connect with students. As far as we can see, Tumblr is a powerful hybrid of Facebook, Twitter, Flickr, Instagram, and Pinterest – it combines the best features of these and actually acts as an aggregator of their content (e.g., Tumblr users can easily bring in posts from the other sites). The adage “Show me, don’t tell me” is often used in fiction writing circles, but it is very appropriate here. ‘Showing’ via photos and video seems to be the way younger generations, including college-aged students, are preferring to communicate, and Tumblr responds beautifully to this. To our eye, the first two are the better examples, simply because they are so visual. As soon as you look at one picture, you want to check out the next. They also do a nice job of incorporating humour, which lends a great informal touch to the sites. Both sites suggest that students are having a fantastic time at the universities even as they also post academic and administrative information. And most importantly, they are communicating all these things lightning-fast; information is both addictive and digestible. You could spend an enjoyable minute on each site… or 30. The main target audiences for colleges and universities are current and prospective students, and Tumblr’s demographics skew very young: most are under 30. For more facts and figures on Tumblr, see our infographic below. 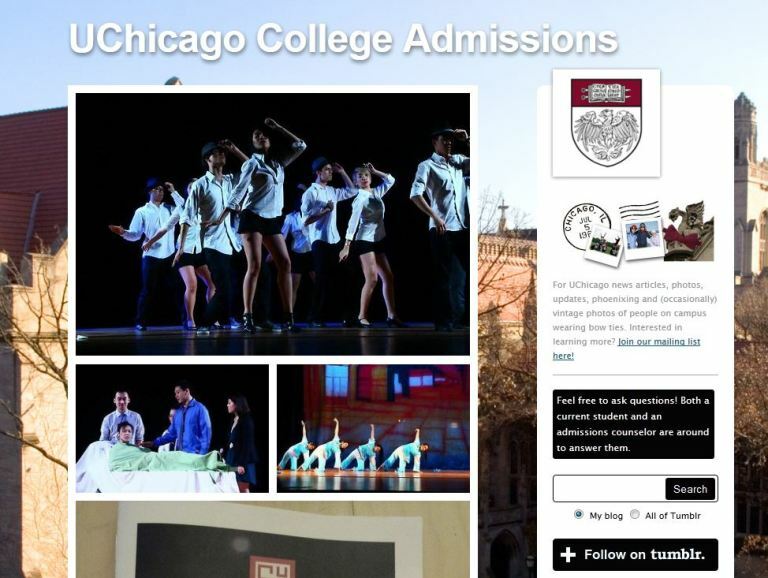 Should education institutions use Tumblr? For more great tips on how to use Tumblr effectively, Social Media Examiner offers advice on using humour, showing off your brand’s personality, and giving users an inside peek into your company or institution. It’s about embracing flexibility and a sense of fun – it gives your brand breathing room. 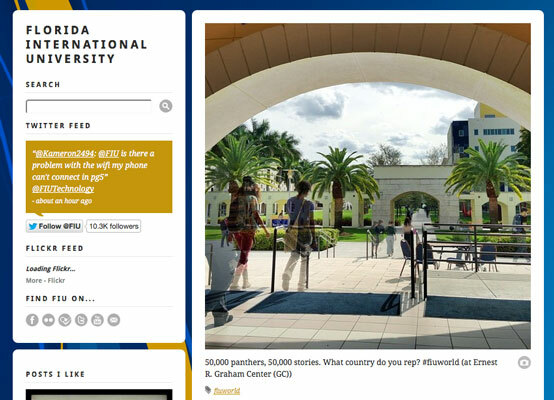 This entry was posted in Asia, Australia, Australia/Oceania, Brazil, Canada, Europe, France, Germany, Higher Education, Japan, K-12, Language Learning, Marketing, Mexico, Most Popular, North America, Philippines, Regions, South & Central America, Technology, United Kingdom, United States, Vocational, Youth Trends and tagged Most Popular, youth trends, mobile apps, mobile marketing, student mobility. What we do with social media and tumblr. Great article! Our English language school in Honolulu entered the Global Social Media Suring Tour (pun intended and sounded better than only saying Social Media) in January of 2012. Aside from the usual suspects of (Facebook, Twitter, YouTube and WordPress) we have also included a GVHawaiiOhana: Tumblr account, which has been instrumental for our GVHawaiiOhana Social Media Initiatives leading into 2013. The idea to do social media was easy(like hell being full of intentions), the planning and execution in 2012 was made possible only through the free reign given by management, gumption, ability to make numerous mistakes and a lot of research time was being putting into figuring out the social media thing being done the right way. An enormous amount of credit for including Tumblr in our social media initiatives goes to Gary Vaynerchuk of WineLibraryTV and Vaynermedia fame. Not enough can be said about Vaynerchuk and how he’s able to convey the importance of genuine caring or as he likes to say, more people need to give a care(he did use care, but for this comment it seemed most appropriate). If you’d like you can check out how we have been using the gvhawaiiohana.Tumblr.com site to inform and interact with our students.